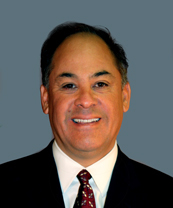 Agent Steven M. Torres has vast knowledge and experience in Property & Casualty. He specializes in Workers’ Compensation, Commercial Liability, Personal Lines, and E&O/Professional Liability coverage. Steve holds a Bachelor of Arts degree in Sociology from California State University, Northridge and brings over 18 years of experience in the industry. He has also completed the certificate program in Workers’ Compensation Claims Administration (WCCA), a certificate to help you and your business. Workers' Compensation benefits must be provided to all California employees by their employer under California Labor Code Section 3700. Workers' compensation premium calculation is based upon how employees are classified according to their specific work duties and the rate assigned to each corresponding employee classification. Work comp policy premium is determined by multiplying payroll by the rate per $100 the insurance company charges.